According to the latest rumors out of China, Xiaomi has a new product in the pipeline, though this isn’t a smartphone as you may expect. Apparently the company wants to get into the action cam market, for whatever reason. So it will make such a device, one to rival GoPro’s offerings, but perhaps also the recently unveiled HTC Re camera. Xiaomi’s effort is going to be priced at CNY 999, which currently translates into $163 or €131. 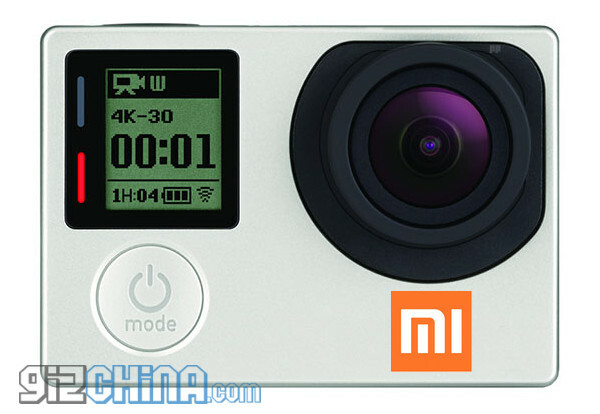 The Mi camera will allegedly come with a 138-degree wide angle lens, and it will be able to record 30 fps 4K video, as well as 120 fps 1080p video. It will have support for microSD cards, up to 128GB in size. The Mi camera should debut before the end of this year, and it’s reportedly being made by Xiaomi in partnership with a Shanghai-based company.